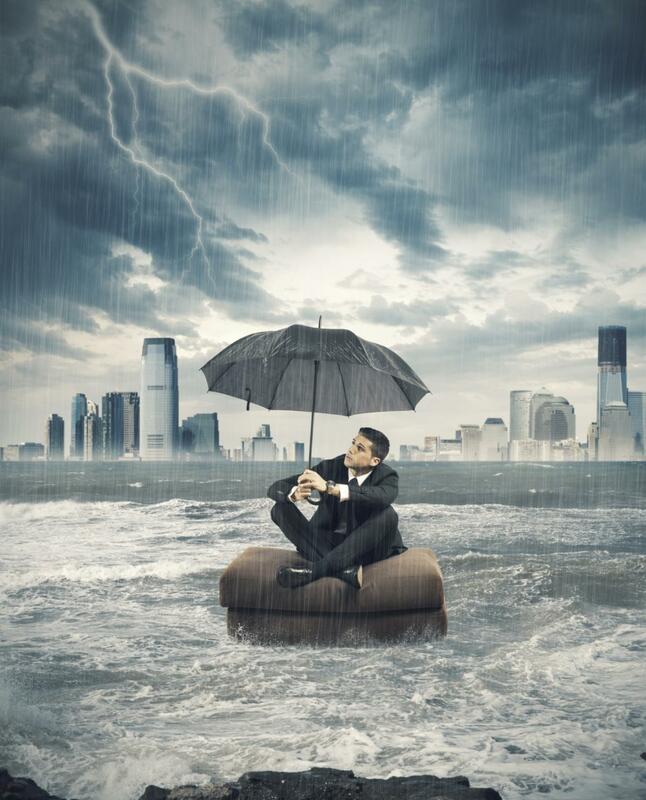 Adversity is part of building a business, especially for entrepreneurs. How you view adversity determines how well you succeed. Adversity is like manure; it stinks but it helps us grow. If any one lesson could be imparted to a person, this is it. Too often people fold when adversity looms large. Successful people, and almost every entrepreneur, do not. At the very least, every setback is a lesson from which we perfect our processes. At worst, a bad situation forces us to be more creative, harder-working or resourceful. When I went blind during the last phase of my company’s IPO road show, I had to get creative fast. There was no precedent for a legally blind CEO of a publicly traded semiconductor company. Every voice within my board and even the industry politely suggested I let go of the reins of the company I founded. Yet a simple question came to mind: Why? What is blindness but an inconvenience waiting to be overcome? That is what I did, employing low- and high-tech solutions to keep me as an intrinsic and active CEO. New ideas are not instantly adopted. Yet inventive people often come up with great ideas and either don’t launch through a lack of faith, or start companies that fail by not waiting long enough for the market to ripen. I conceptualized the wafer stepper, a piece of semiconductor manufacturing equipment that is standard today. When I dreamt it up, the wafer stepper was too far ahead of its time. But by selling the concept to Texas Instruments – before I had ever mentioned it to my boss or my company’s engineering team – I created my own adversity, namely leaving my employer and starting my own firm. Being inventive is to be a pioneer. You risk taking arrows in the back, but without that risk you never reach the new frontiers. “No bank lends to startups,” is a Silicon Valley truism, and this applies doubly for semiconductor firms. But I launched Micrel with bank funding because I was unwilling to take venture capital or family loans. The banks lacked confidence in startups, and I was no exception. So I asked them what would make them confident – what covenants would they demand if they were to lend to me? Once this was on paper (and they were onerous terms) I agreed, much to the banker’s surprise. By documenting their requirements, and agreeing to achieve them, I altered the confidence of the bankers and got the loans for my startup. Entrepreneurs and leaders of all types need to know when confidence is coming up short in others and change the perspective of the doubtful. Every industry has business cycles, and my semiconductor industry has the wildest of them all. Sudden slowdowns and resulting cash crunches damage many companies. Some lose employee faith through mass layoffs. Some companies simply die. Yet this is the most predictable phenomenon in business, and the simplest to manage. Some companies see frugality as an adversity, and one that employees resent. But it is actually a preventative to adversity, and nothing sours an employee more than a pink slip. Markets, competitors and products are constantly changing. These bring the greatest variety of adversities. The worst adversity comes from unnecessarily exposing your company to changes. Micrel instituted a policy to limit the amount of business we would do with any one customer. This seemingly self-imposed adversity came from a serious problem we had when one customer discontinued a product line and negated over 25% of our revenue stream. Risk aversion need not be debilitating, but risk aversion needs to exist and be managed. Greed causes companies to cease existing, or to suffer badly. One famous semiconductor company nearly imploded because they had a maniacal goal of growing through acquisitions to achieve $1B in revenues, but had no way to successfully integrate their acquired people and products. Micrel survived one greedy corporate raider but did not escape the second. Any time someone inside or outside of a company is using money as their sole objective, adversity will soon follow. There is no progress without some form of adversity. Embracing adversity is initially as awkward as embracing change – it is unnatural. Yet doing both is essential to achieving anything meaningful, and will be part of your life. Raymond D. “Ray” Zinn was the longest-serving CEO of a publicly traded company in Silicon Valley and is now focused on sharing his experiences and leadership through his podcast, ToughThingsFirst, his book of the same name and his contributions to entrepreneurial thought leadership.